All the Cockpit phD ® products carry a warranty to be free from defects in materials and workmanship for the period of 30 days after the purchase date. This warranty does not cover damage which results from improper handling, abuse, accident, misuse, or use in other than normal situations. Surface markings / cosmetic imperfection as a result of handmade production / 3D printing supports, shipping, slight imperfections and minor variations from item to item are normal, are not defects, and do not need to be covered by this warranty. 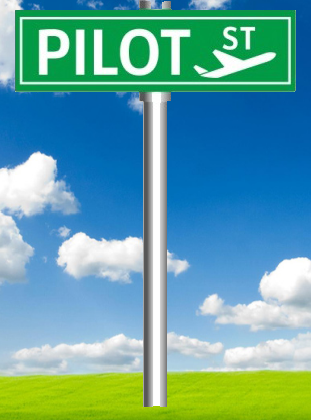 In addition, Cockpit phD ® shall not, in any event, be liable for any damages, including any lost profits, lost savings or any other incidental or consequential damages arising out of the use or inability to use such products. To return your product for service, please contact our Customer Service at cs@cockpitphd.com. Cockpit phD ® does not offer pick up or delivery service for warranty claims. The return policy applies to any purchase made through our authorized distributors. We offer a 30 Days Return Policy for factory defective items from the date of your purchase. We do not accept any non-defective return. Defectives can only be refunded in full unless the items are not in replaceable situation. You (the buyer) are responsible for the return shipping costs under all circumstances. · You are responsible for shipping charges when they are returning any of the merchandises. · Customized products are not returnable in any circumstances. · All returns, for any reason, must be packaged all other supplied accessories when it was first delivered to you. · Return and refund policy are not applied on discounted and sample items. · The RMA number requested from our Customer Services. · A copy of your original invoice with the RMA number (inside the shipping box). Once we receive your returned item(s), a refund will be processed. The way your refund is processed depends on your original payment method. Customized products are not refundable and not exchangeable in any circumstances. Cockpit phD ® reserves the right of final decision on Returns and Refunds.